A Beautiful Home Means Beautiful Flooring. If home is what you make it, what does your flooring say? Specializing in hardwood floor installation, repair and refinishing, we offer the services you need to make impress your visitors. Visit our services page to learn more, and find out how we can help you today. Hardwood flooring project don't necessarily mean installation. It can be a huge money AND time saver to simply breathe life into old flooring. Contact us today and learn how we can help. For full-service hardwood flooring in Portland, OR, you want Wall 2 Wall Hardwood Floors. We believe that when it comes to flooring, you deserve the best. You deserve a team of dedicated professionals, who are not only friendly, but experienced as well. With Wall 2 Wall Hardwood Floors performing your hardwood flooring in Portland, OR, you get all that and more. We love what we do. Installing hardwood flooring in Portland, OR is our passion. There’s nothing like seeing the smile of a satisfied customer, knowing they will enjoy our work for decades to come. In an ever changing industry like hardwood flooring, it is easy for a company to fall behind. That’s why all of our flooring technicians stay up to date. From new products to the latest in hardwood floor installation techniques and tool advancement, we remain at the forefront of our industry. Not only does this maintain our already expert level of craftsmanship, it guarantees you have access to the best methods and longest lasting options. If you haven’t considered hardwood flooring in Portland, OR for your home or business, now is the perfect time to make the switch. It is all natural. This makes it incredibly easy to maintain. Cleaning is as simple as a sweep because they don’t trap any dust. Carpeting can trap germs and scents that hardwood flooring is naturally resistant to. Add in proper sealant and your floor will be nearly impermeable. No other flooring matches the financial value of hardwood flooring in Portland, OR. It can increase property value by as much as ten percent! With a hardwood floor you get incredible variety as well. Options are nearly limitless as different cuts brings out different aspects of the wood. Some show off the grain, others include imperfections like burls. Different wood types also have unique characteristics. These can include color, and various resistances that further change with stains and sealants. Floor Planning and Design – We can help design a perfect setup for a new property, or even expand the floor in an existing setup. Whether you want your linoleum kitchen floor replaced to match your dining room or a second story to match the first, Wall 2 Wall Hardwood Floors can do it. Installation and Setup – From new projects to additions and repairs, we install and setup everything. You don’t have to worry about a thing knowing expert technicians are providing you with the peerless hardwood flooring. Remodeling & Refinishing – If you’ve already got a hardwood floor or are re-doing an existing room our services will have your hardwood floors looking new. This can be a great option, providing stunning work at a fraction of the cost of new floors. Water-Damage Repair – Hardwood Floors that haven’t been properly sealed can suffer water damage. We can repair the damage and make your floor look new again. 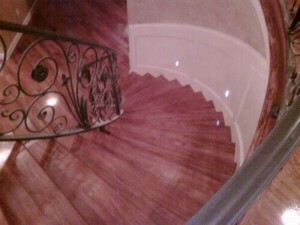 Hardwood Floor Restoration –Hardwood flooring is more than a typical floor. Every shape and whirl has a memory attached. When it starts to lose its luster, it can feel like a tarnished work of art. The sensitivity of hardwood floors varies based on the wood type. Even one mistake can end up costing you a section of your hardwood floor, and you definitely don’t want that. For incredible hardwood flooring, excellent prices, and unparalleled craftsmanship, Call or Contact Wall 2 Wall Hardwood Floors today.